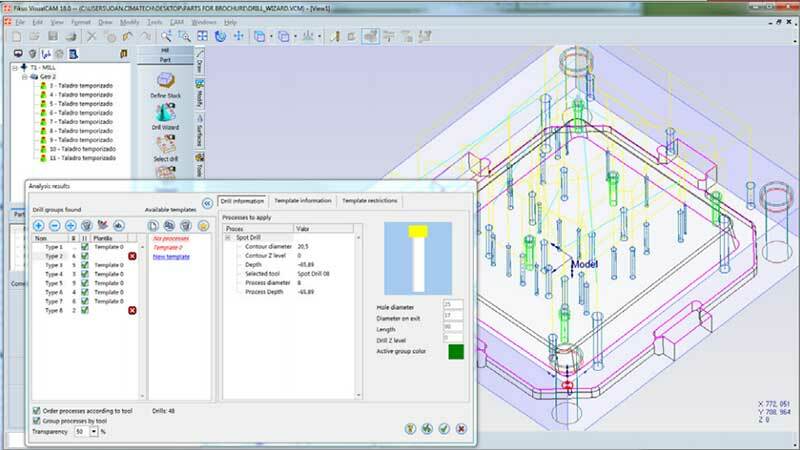 CAD/CAM software for the shop floor, efficient and productive. Fikus Visualcam ST is the Metalcam`s recognized software for the shop floor. 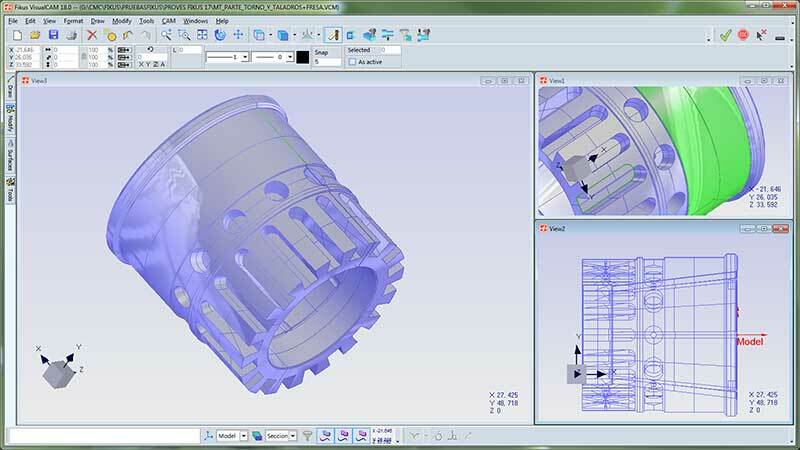 A productive, versatile and easy to use CAD/CAM software that gets the maximum performance from your machine tool due to machining assistants and dedicated postprocessors of most of machines in market. 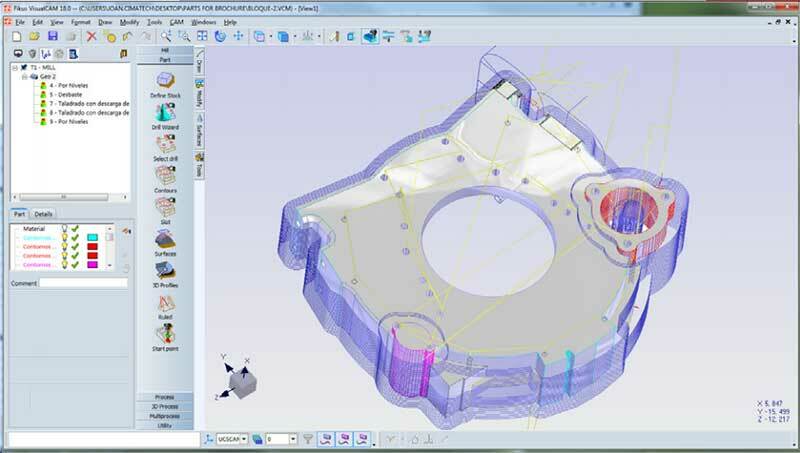 An efficient 3D wireframe CAD allows to work with geometries created in many diverse formats. The different CAM modules for milling, wire EDM, lathe, millturn and 2D cutting machines, make possible to program any job in the shop floor quickly and efficiency. FikusST has been designed specifically to produce machining programs easily and quickly, with a dynamic graphic rendering and an intuitive interface, making possible a very easy learning process. 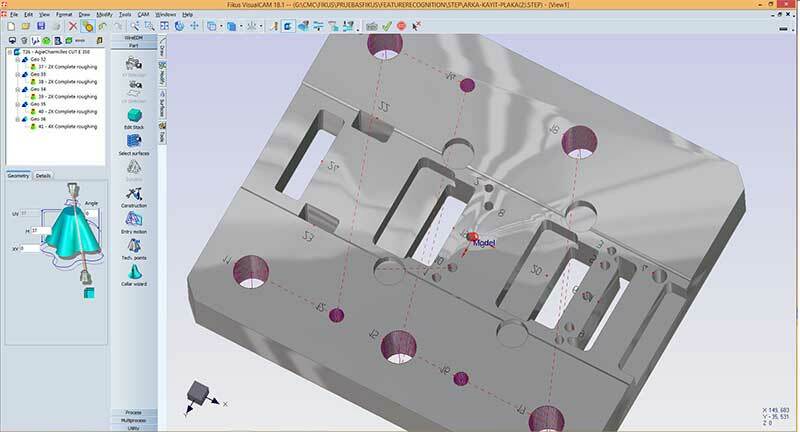 Powerful and easy to use CAD/CAM solution that speeds up the manufacture of your parts, reduce production costs and improve product quality and reliability in many different industries. With more than 25 of expertise and operating in more than 30 countries around the world, Fikus Visualcam offers a reliable and reputed CAD/CAM software in all the manufacturing technologies, especially developed for shop floor and production. Designed to obtain the maximum performances from your machines, FikusST uses the standard cycles form every machine to achieve the maximum manufacturing efficiency. The powerful CAD integrated in Fikus has been developed to match the users' needs, offering a powerful and precise tool to create and modify geometries. 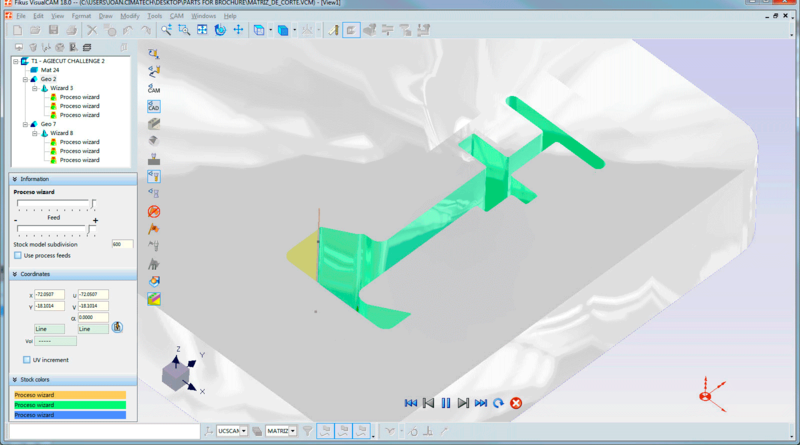 If you must work with geometries generated in diverse CAD systems, Fikus can import geometries from many different formats. Fikus allows to create or modify any geometry, as well to import geometries from other CAD systems through interfaces with IGES, DXF or STEP. Also provides an unlimited undo/redo, gear creation, smart cutting, pressing pre-view and all the geometric necessary functions to create and edit contours and parts. FikusST offers a realistic 3D machining simulator, especially developed to verification, collisions detection and complex machining simulation.